Aaron Cole March 30, 2018 Comment Now! Two months after the 2017 New York auto show, lead Genesis designer Luc Donckerwolke and his assembled team set to work. 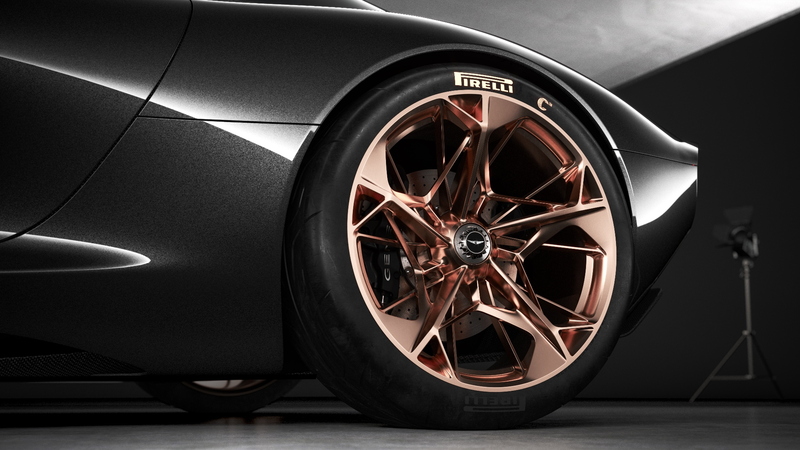 Their goal wasn’t to rest long after the success of the New York concept car that precipitated the Genesis G70, it was to pronounce to the rest of the world that Genesis had arrived with its own style. “Last year in (New York), we brainstormed about how to make it more inspirational,” head of styling for Genesis SangYup Lee told Motor Authority. The global team set to work from all corners: Korea, Germany, and California. 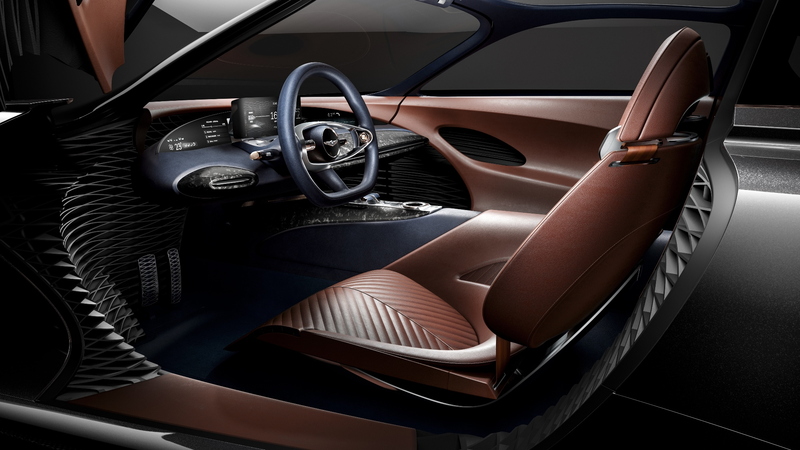 The Essentia concept was never fully formed in clay—only large-scale models helped designers visualize details such as the interior. The European advanced studio, helmed by famed former-Bugatti stylist Sasha Selipanov, tackled the exterior from Frankfurt. Chris Ha managed the interior from the studio in Irvine, California. Bozhina Lalova set the color and trim from Namyang, Korea for the concept, all under the tutelage of Donckerwolke and Lee, Donckerwolke told Motor Authority at the 2018 New York auto show. “This was 100 percent digital,” he said. “This is a way to enable such a global collaboration,” Lee added. The concept for a grand-touring electric car may be a little far-fetched for Genesis in the short-term. The automaker has already committed to build a coupe within the next few years, but not before it pushes out a few SUVs and redesigned sedans first. 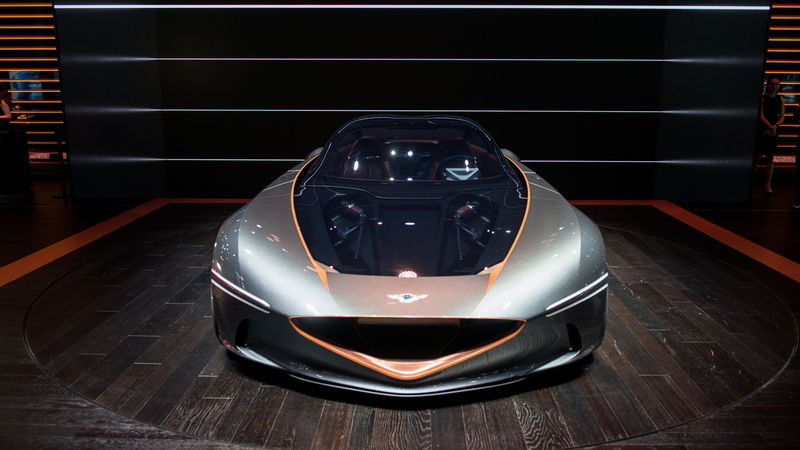 Even though little from the Essentia concept may make it into production, Donckerwolke and Lee agreed that the two-door was the only way to showcase the luxury automaker’s future look. “A GT is the epitome of athleticism and elegance,” Donckerwolke said. 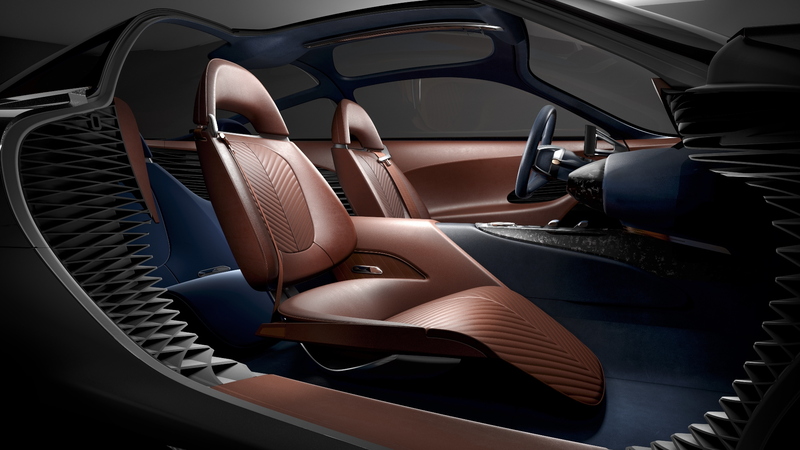 “The typology of the car is the perfect way to (showcase) brand design vision,” Lee said. The Essentia’s broad width—nearly seven feet; exposed, Formula-One-style pushrod suspension; deep nose cone and extreme dimensions may never see the roads, but some elements will remain, they said. The quad headlight and taillight array likely will adorn new Genesis models, Lee said. (Both have already appeared on the QV80 SUV concept.) A more elegant interior and organic curves may show up too. But Donckerwolke said there could be more. For more from the 2018 New York auto show, head over to our dedicated hub.